About FIA - Fukushima International Association - The JICA Consultation Services Counter is now open! The JICA Consultation Services Counter is now open! 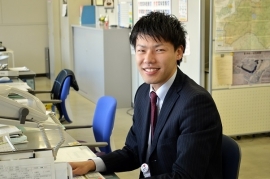 Mr. Akihiko Hoshi, who worked in Senegal as a part of JICA, has just touched down in Japan and begun working as the Coordination for International Cooperation at the Fukushima Desk of JICA’s Consultation Services Counter . 『Nice to meet you! I’m Akihiko Hoshi. For 2 years from September of 2015 until September of 2017, I was dispatched to Senegal in Western Africa as a part of JICA (Japan International Cooperation Agency)!